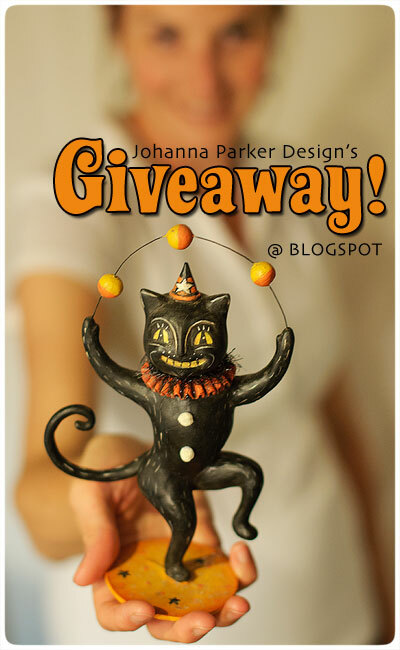 First of all, I hope you ALL entered to win my sweet juggling black cat above! Now, for those of you that "Do Facebook" I am offering this adorable Jack-o'-lantern cutie to all of my Fans that follow me there! 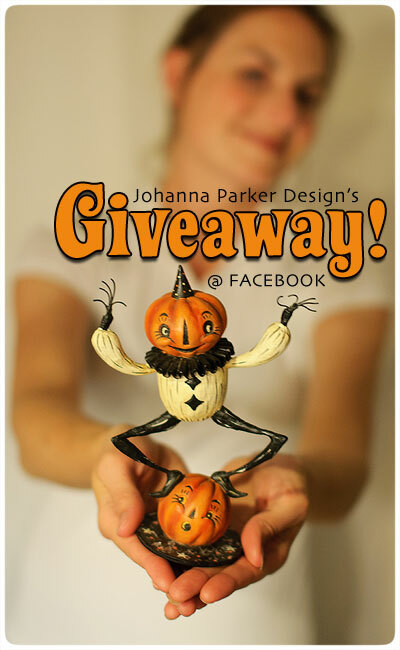 Please click along to my Johanna Parker Design Page to enter to Win!